Coming soon to the pages of Dogbreath- Death by Dog. A tale of revenge and redemption by Mark Howard and Dave Broughton. 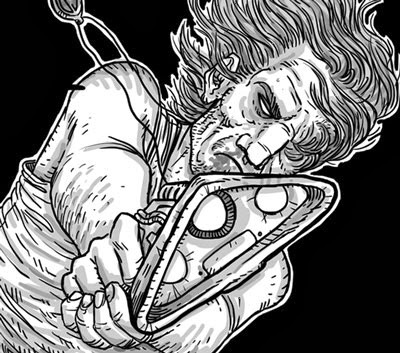 Coming soon to the pages of Dogbreath- Stuck in the middle with you by Rich McAuliffe & Jake Rowlinson. You may remember an earlier post HERE about this strip. Trust me when I say that you will kick yourself if you miss this. Meet the hardest working man in Downlode- He really does spend his entire day taking care of S##t! 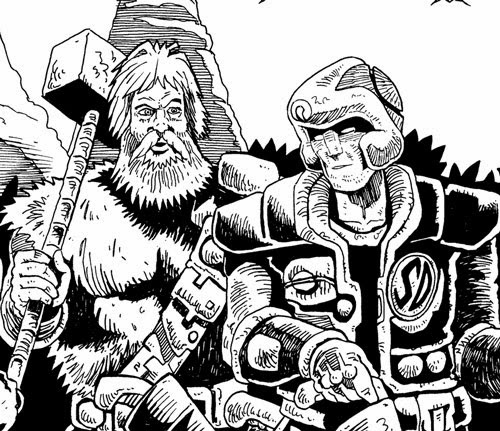 Join us for Ser Side by Tom Proudfoot and George Coleman, coming soon to Zarjaz. 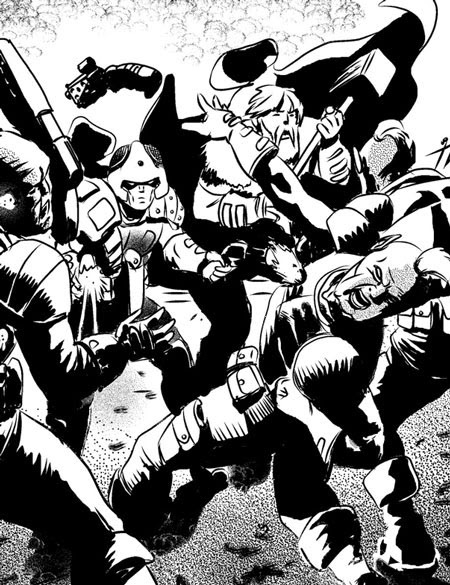 Coming soon to the pages of Zarjaz- Join Kano and BAD Company as we travel From Mud To Murder by Shaun Avery and Dave Broughton. 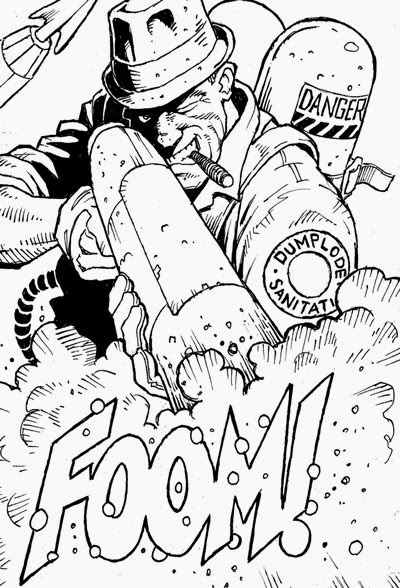 Coming soon to the pages of Dogbreath- Search & Destroy by the Stoddart Brothers. This is Johnny & Wulf as they are meant to be.